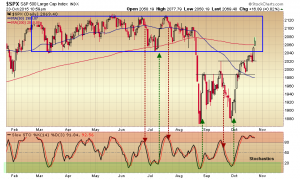 A number of resistance levels on the S&P 500 chart are in the rear view mirror, and the index has reentered the horizontal channel range it had been trading in earlier in the year. A retest of the old highs is the logical assumption, but even if that turns out to be the case the road ahead might not be as straight as the one that got us here, and there could be a few detours along the way. 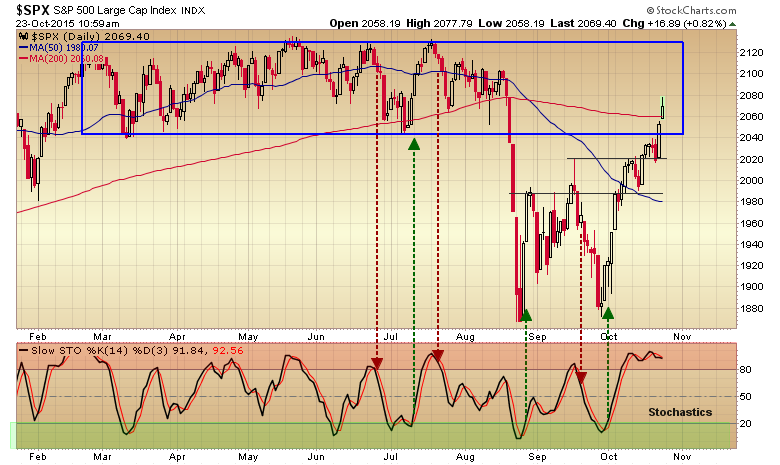 Traders should continue to keep an eye on the stochastic oscillator. Crossovers followed by moves out of the overbought or oversold zones have signaled tradable short term momentum changes.